Why even bother going back to the theater? 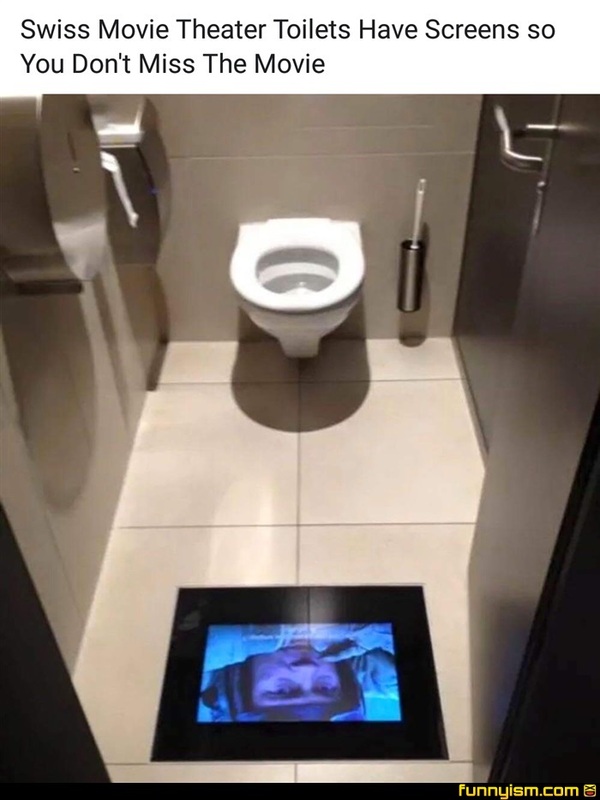 So tell me why I shouldn't just watch the whole movie while sitting on the toilet? Someone! Quick! Explain how it works?! How do they know what movie I am watching?! Ooooor is this one of those theatres with only 1 or 2 cinematic experiences? @spelcheck , is that a controller in your pants or are you happy to see me? So just Video or Audio as well? If 3 different movies were playing it would be confusing and if there was no audio it could be equally as confusing.